A police Corporal, Mr. Ayodele Famodimu, accused of shooting to death a commercial bus driver, has been dismissed by Police authorities. The Police Public Relations Officer in the state, Mr. Alberto Adeyemi, had announced in reaction on Wednesday to the incident which occurred at a checkpoint in Oye-Ekiti, headquarters of Oye Local Government Area of Ekiti State on Tuesday, that Famodimu was facing orderly from trial and that he would be dismissed if found guilty. Upon his conviction by the orderly room trial, Adeyemi confirmed on Thursday that Famodimu has been dismissed and that he has been charged to an Ado Ekiti Chief Magistrate’s Court for murder. PPRO Adeyemi said policemen were not trained to kill civilians but to defend life and property. “He (Famodimu) has already been dismissed and as I am talking to you now, he is an ex-policeman. The case is now in court and we have handed everything over to court to decide his fate. “We did not train him to go and kill law-abiding citizens, we trained him to safeguard lives and property. Any of his ilk that goes against the law will face the music,” Adeyemi stated. The Police Prosecutor, Mr. Johnson Okunade, had brought a remand order to the court and contended that there was cause to order the remand of the accused in custody. According to Okunade, a Police Inspector, the accused was suspected to have committed the offence of the murder of a driver, Olabode Ojo and attempted murder of Azeez Ayodimeji. He said the offence was punishable under Sections 319 and 324 of Criminal Code Cap C16 Laws of Ekiti State 2012, claiming that the accused committed the offence while in possession of offensive weapons and was arrested with exhibits and was identified by witnesses. Ochayi held that the defendant was a police officer who was negligent in the line of his duty and asked for the adjournment to enable him to study the case file. 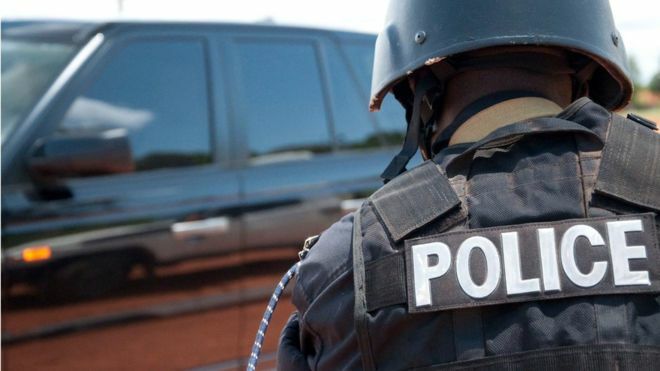 Sources claimed that Corporal Famodimu had shot Ojo in the dead for allegedly refusing his demand for a gratification of N50 at the checkpoint in Oye Ekiti. The Chief Magistrate, Adesoji Adegboye, ordered that the accused be remanded in prison custody and thereafter adjourned the matter to December 28 for a mention. Famodimu had shot the commercial bus driver, Mr. Olabode Ojo, in the head at a checkpoint in Oye-Ekiti on Tuesday evening, which led to the somersault of his bus and caused injury to the passengers.